If Micronesia’s centrally positioned Chuuk State votes for independence next year, then it could set off a chain reaction of events that would seriously undermine the US’ Pacific strategy and work out to the supreme benefit of China. Radio New Zealand recently reported on a little-known event of disproportionate geostrategic significance in the Pacific region when it ran an article earlier this week titled “Chuukese defiant about independence from FSM”. This piece raised awareness not only of the Chuukese secessionist campaign within the Federated States of Micronesia (FSM), but also about how the US Ambassador politically intervened to warn against voting for this move during next March’s plebiscite. The casual reader might not have ever heard of Micronesia, nor understand why the possible secession of one of its states warrants an analysis by the author, but The Diplomat’s Thomas R. Matelski answered this question in February 2016 in his article titled “America’s Micronesia Problem”. To sum it up, he said that the US needs to pay extra attention to the Pacific Island states of the “Compact Of Free Association” (COFA) whose post-independence economic and security agreements with America are set to expire in the coming future, as Micronesia’s is in 2023. The US Army War College fellow warned that China could quickly replace the US in what Beijing’s strategists regard as the “Second Island Chain”, which would have the effect of threatening the Pentagon’s Sea Lines Of Communication (SLOC) in the West Pacific waters between Guam and Papua New Guinea. Even if the Chinese military doesn’t move into this space, an allied government there could refuse to renew COFA and therefore deprive the US Navy of its existing rights there. 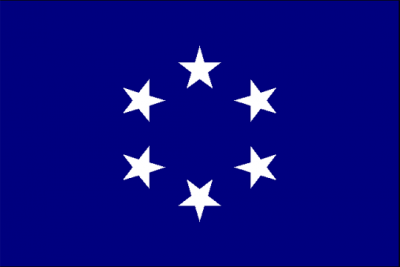 For those who may not be aware of what COFA is, it’s basically a lopsided post-independence deal between the US and the three Pacific Island nations that it occupied after World War II (Micronesia, the Marshall Islands, and Palau) as part of the UNSC-approved “Trust Territory of the Pacific Islands”. This arrangement pretty much grants the US military the freedom to do as it pleases in exchange for allowing the small population of “Global South” people in this part of the world the right to unrestrictedly migrate to the US or any of its other territories if they so choose. It was never about the islands’ development and was more than likely forced on their leaders out of Cold War geostrategic considerations, which is why it’s so controversial. China, with its One Belt One Road (OBOR) global vision of New Silk Road connectivity and related granting of low-interest loans for a variety of infrastructure projects, presents a much more attractive model for the people of Chuuk than the American one of surrendering their islands to perpetual squalor. Matelski’s article drew important attention to some of the ways that China has already begun to exert its soft power in the region, but it’s enough for the reader to recognize that Beijing has the political will and excess capital to turn the islands – whether Chuuk, Micronesia, or all three of the COFA countries – into Chinese-funded welfare states so long as this succeeds in breaking the US military’s hold on the region. 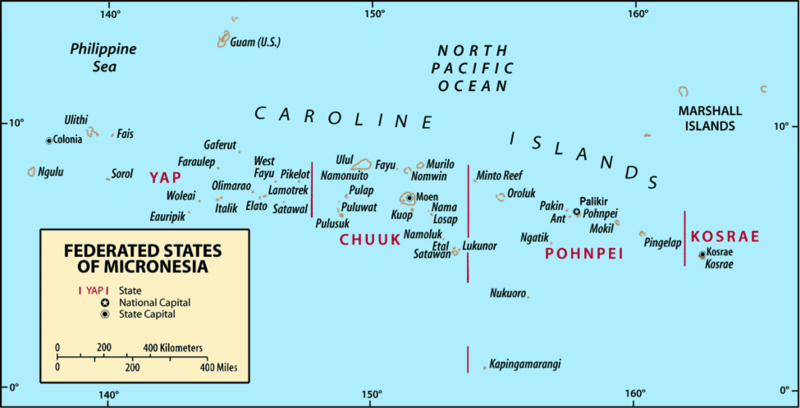 Chuuk is especially important in this context because its independence campaign represents the first real threat to Micronesia’s unity, which isn’t constitutionally enshrined and therefore makes the state’s secession legally possible. Some observers were of the impression that this was all just one big bluff in order to improve Micronesia’s standing during the ongoing talks to renew COFA, but Chuuk’s determination to go forward with this vote despite the US Ambassador saying that the state’s people would lose their migration rights to the US under COFA if they seceded proves that they’re more serious about this than outsiders might have initially thought. The US usually doesn’t mind the “Balkanization” of any region in the Eastern Hemisphere – and actually encourages it in most instances — because this outcome is thought to facilitate its divide-and-rule strategy in the 21st century, which is why its opposition to Chuuk’s secession is a curious exception to this established pattern. The reason for this is that the US prefers to deal with the hundreds of microcosmic islands within the COFA space on three easily manageable bilateral bases because of the understandable efficiency of this arrangement, but also due to credible fears that China could take advantage of the region’s “Balkanization” to disrupt the Pentagon’s SLOC in these strategic waters per the scenario outlined by Matelski. Therefore, the US has a national security interest of paramount importance in retaining the indivisibility of the COFA states, though it for whatever reason refuses to offer more beneficial socio-economic benefits to its proxy states in order to compete with China. Should it decide to be less stingy, then the US could steal China’s thunder by turning the islands into pro-American welfare states and indefinitely preempting any legitimate separatist threat to its military superiority in the region. Barring the political will to invest more in Chuuk, Micronesia, and the COFA states as a whole, then the US will probably resort to disruptive political measures to stop the centrifugal process that “Balkanization” would produce there. The first thing that it can do is try to get the vote delayed or outright scrapped, but if that’s not possible, then the US will continue to pressure and intimidate pro-independence supporters. There’s also a chance that it might try to pay off some members of the vote-counting authority in order to rig the results. In the somewhat unlikely event that the Chuukese people succeed in their democratic separatist aspirations, then the US would immediately challenge the constitutionality of this move and offer full legal support to the Micronesian government. Under no circumstances will it allow Chuuk to make any independent military or political decisions, especially regarding China, and could blockade it as a last resort if this happens. All in all, the case of next year’s Chuukese separatist referendum from Micronesia represents an unlikely example of a seemingly obscure event in a sparsely populated and far-off place potentially having disproportionate geostrategic importance in the New Cold War. It’s not likely to develop into a full-fledged crisis because the US should be able to prevent an adverse outcome of the vote by hook or by crook, but even so, the fact that the people are going forward with this initiative anyhow speaks to the genuine grievances that they have with Micronesia, COFA, and consequently, the US. If the vote is conducted in a free and fair manner, then the world will finally discover whether these concerns are shared by the majority of the population or not. The US should have invested more effort into sincerely developing its partners’ socio-economic potential over the decades, and the groundswell of negative sentiment surrounding it is entirely of its own making. The Chinese economic model wouldn’t be attractive to the people of Chuuk or anyone else in the COFA space if the US was taking care of their needs like it was expected to, though it’s not too late for Washington to “win hearts and minds” if it offers these countries a much better deal than before. Time will tell whether this happens or not, but it’s revealing that it has thus far refused to do this and raises the obvious question of why that is when considering the magnitude of what’s at stake.